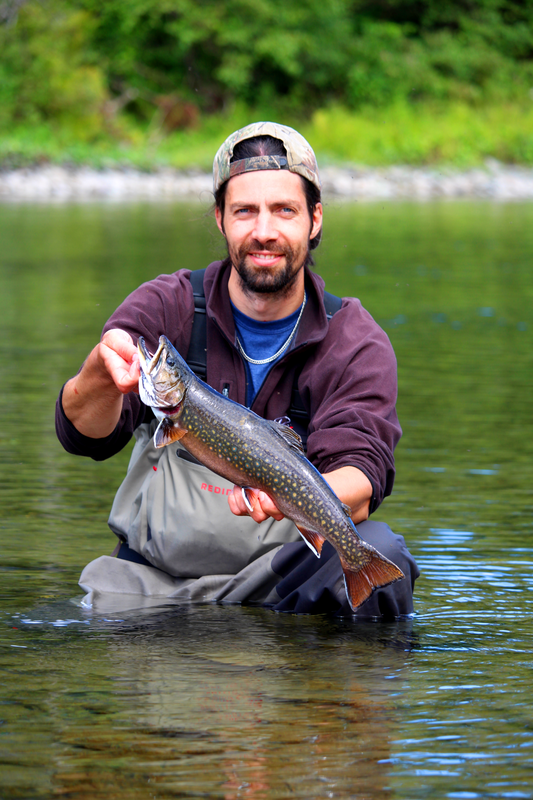 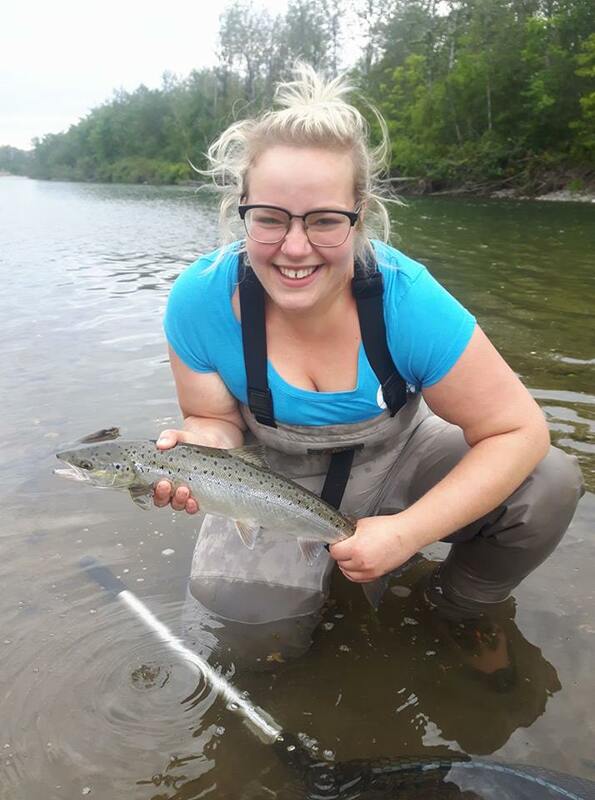 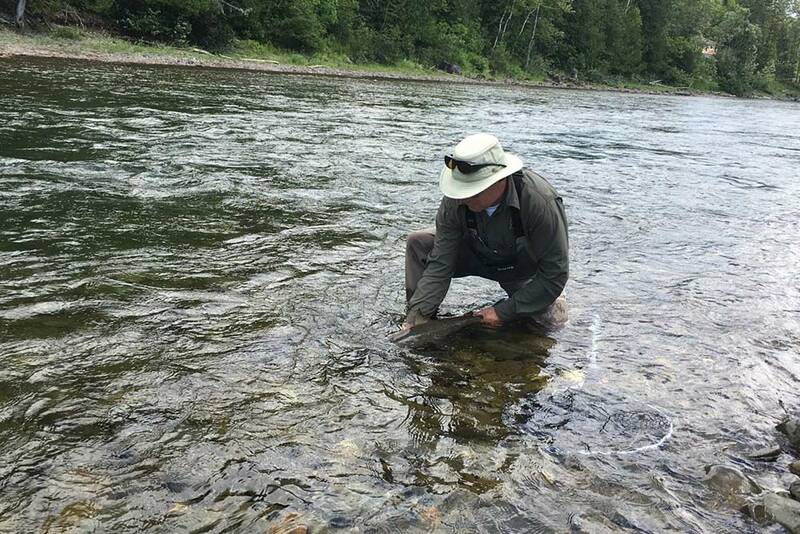 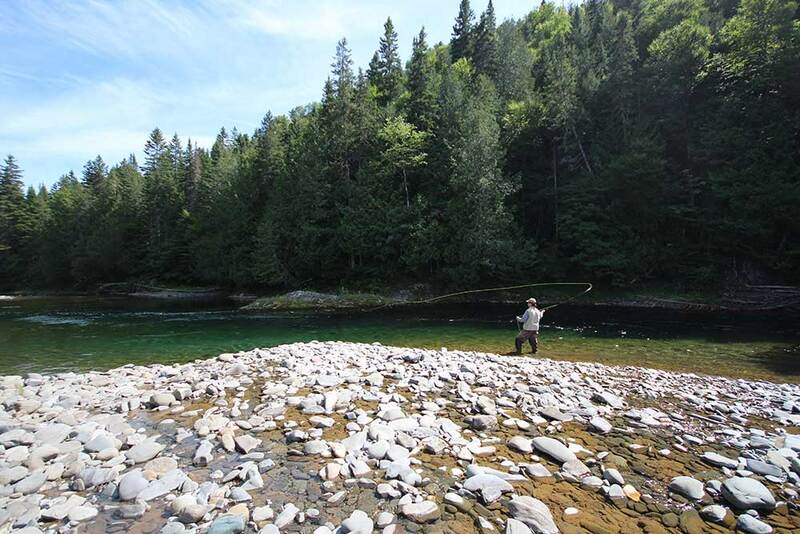 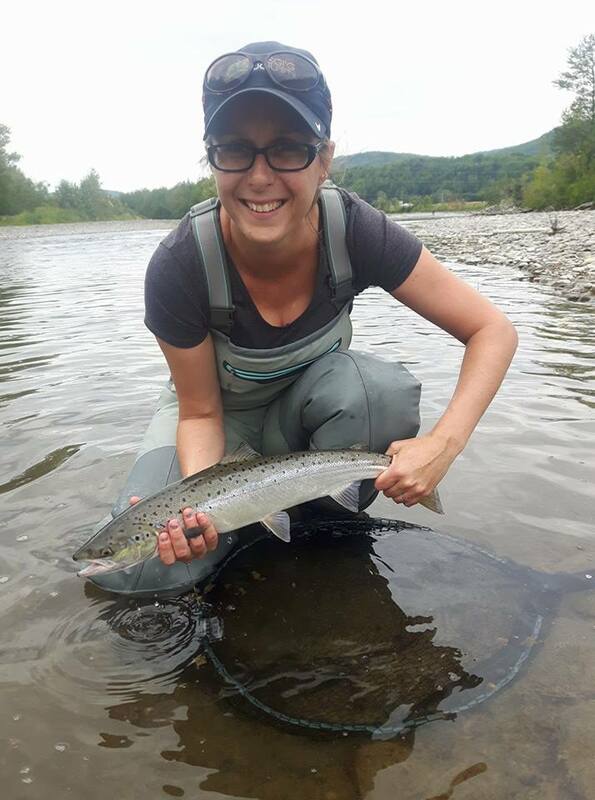 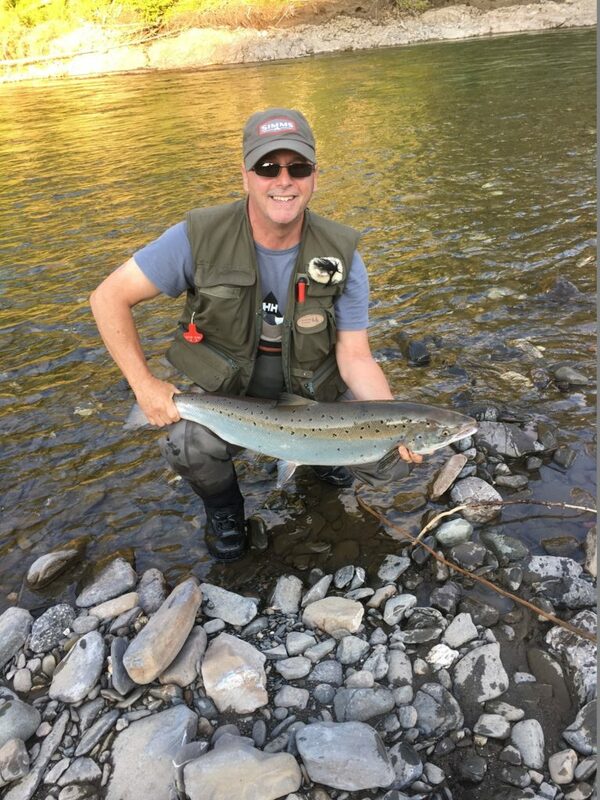 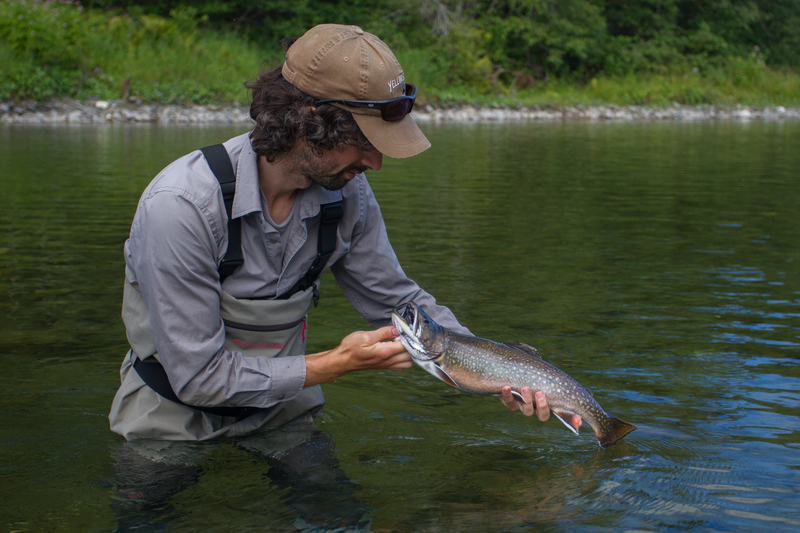 Located on the Gaspé Peninsula, one of the most beautiful regions of Québec, the Nouvelle River offers anglers the opportunity to indulge in their favourite pastime in a glorious setting. 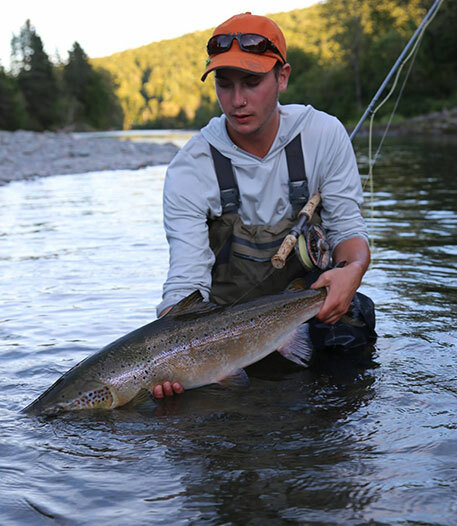 Visitors will find sparkling crystalline waters that flows from the high peaks of th Chic-Choc Mountains down to the Chaleur Bay, near the Municipality of Nouvelle. 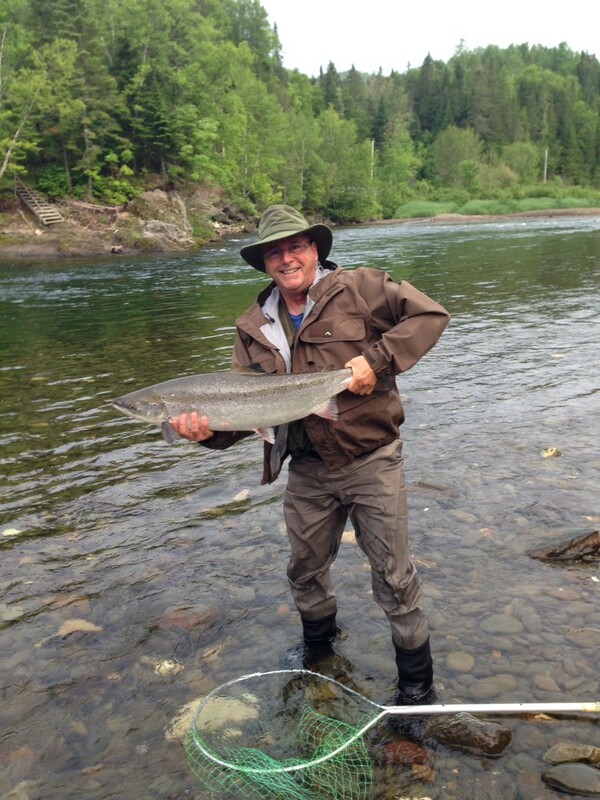 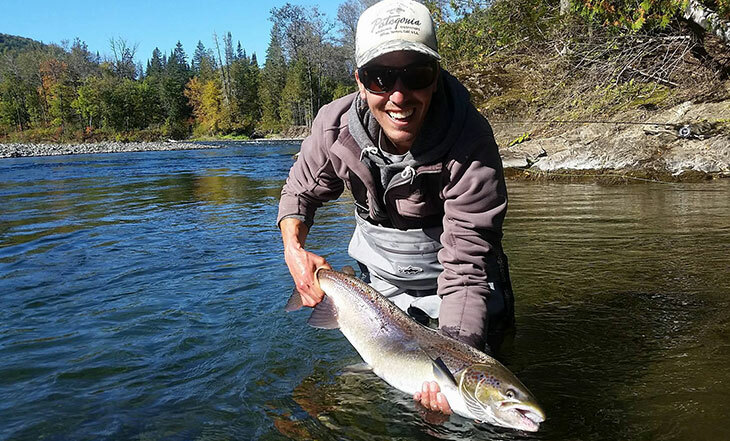 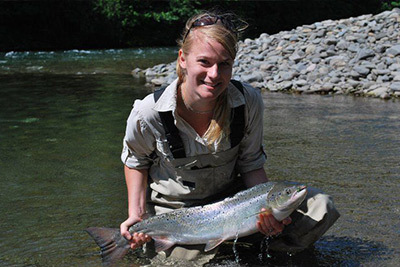 Fishing on the Nouvelle gives you the chance to catch the king of all fish, the Atlantic salmon, as well as impressive giant sea run trouts! 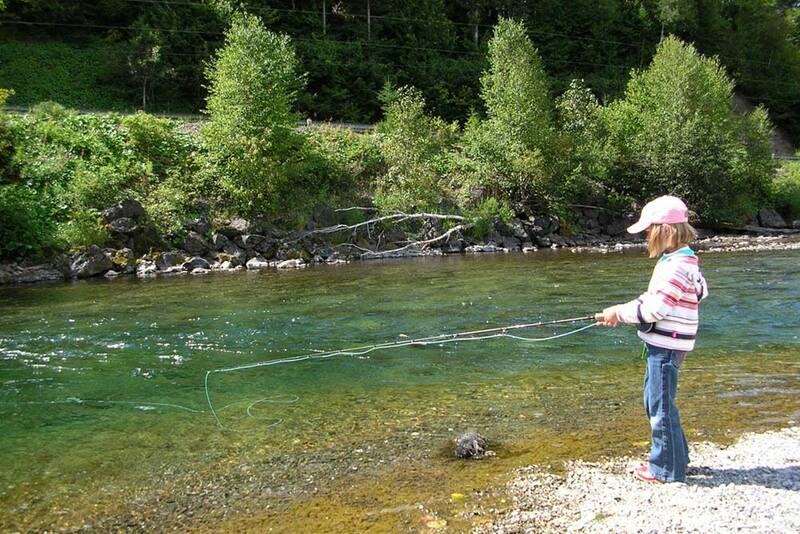 Moreover, most of the time, you will be the only angler around. 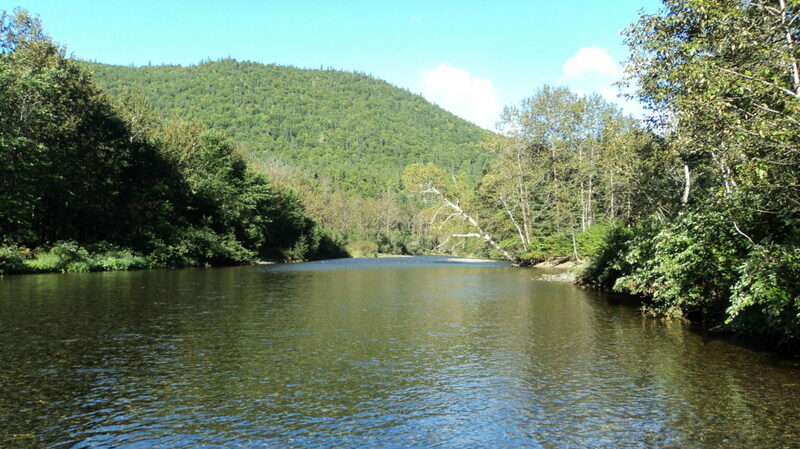 Alone in this wild, yet easily accessible oasis of nature. 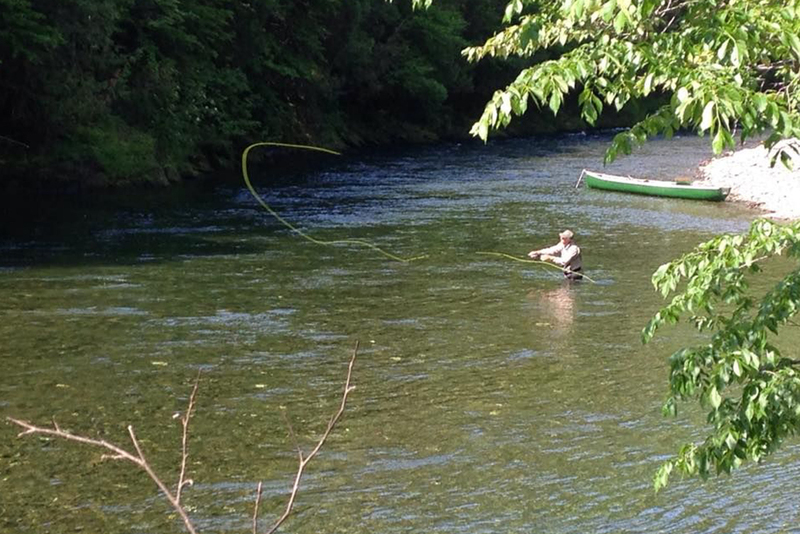 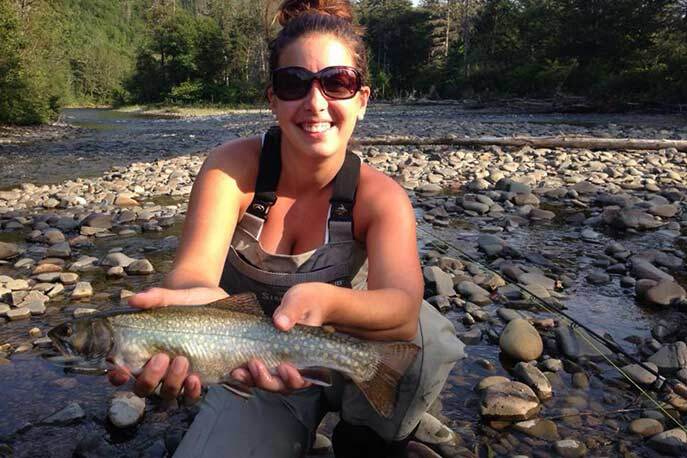 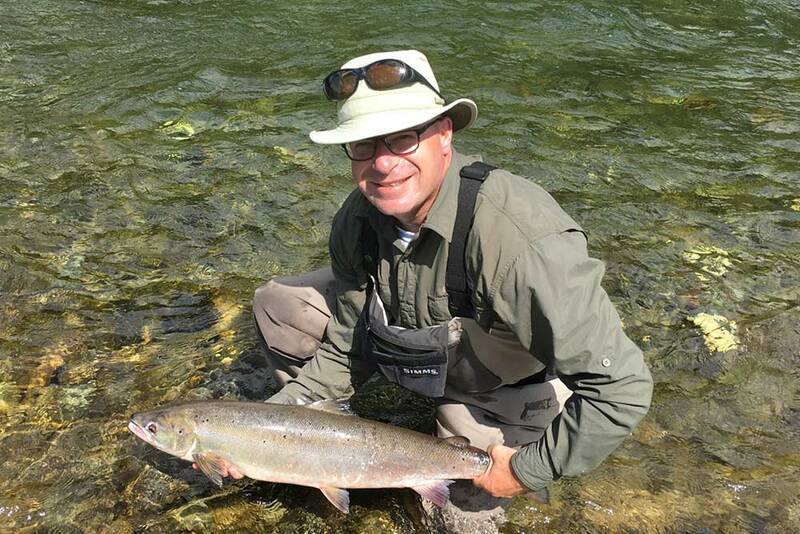 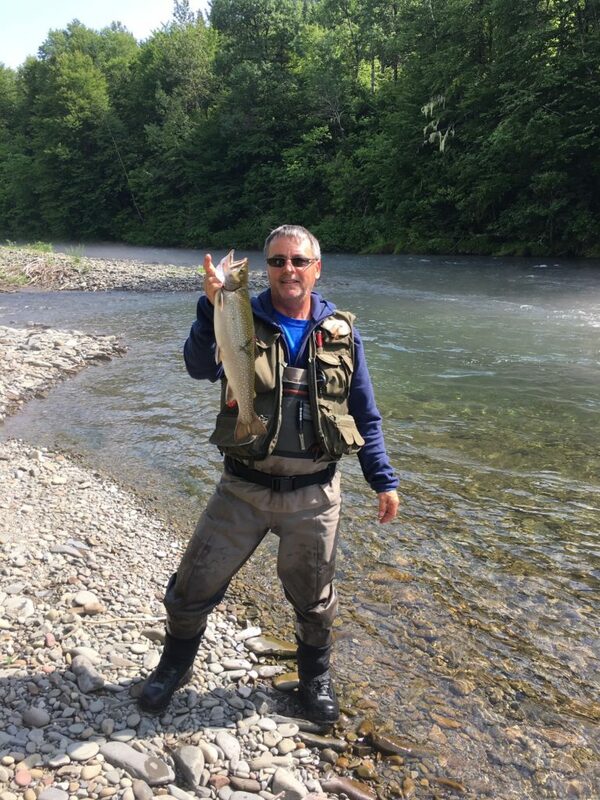 Unlike many other rivers, water remains cool during the whole season and fishind success increase with time. 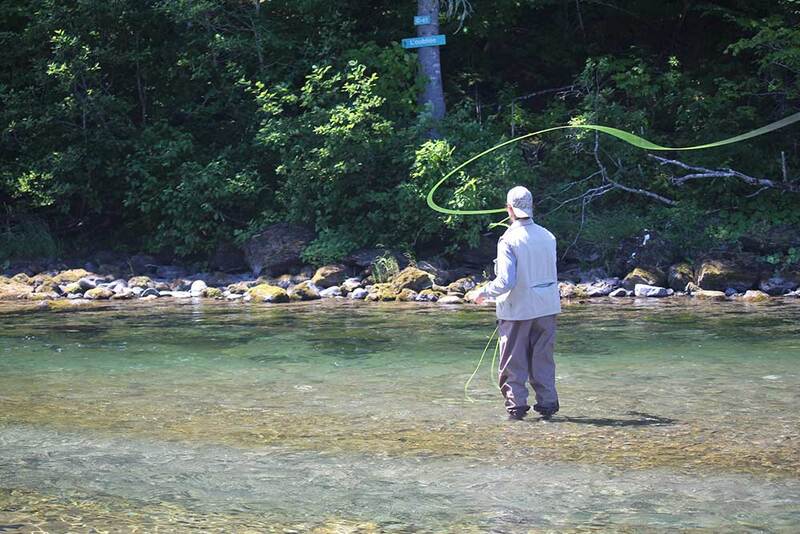 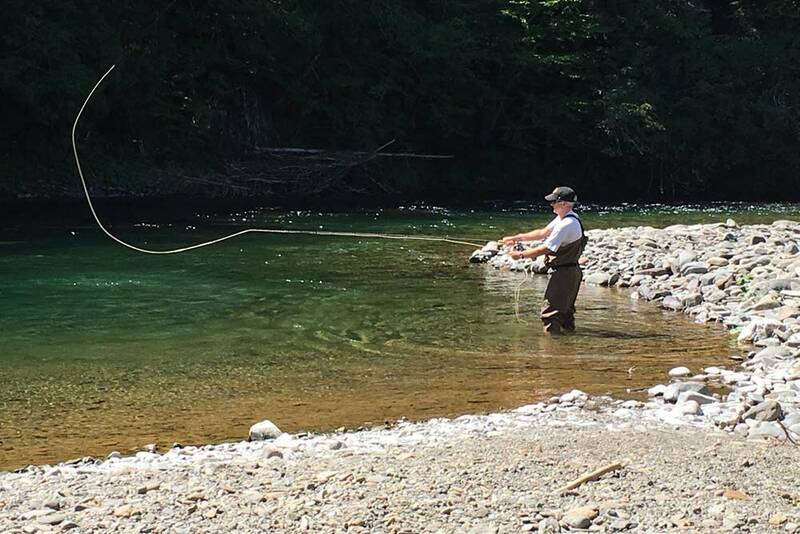 Its ever cold and turquoise water, unless sudden flood, is perfect habitat for salmon and trout from the opening to the end of the fishing season! 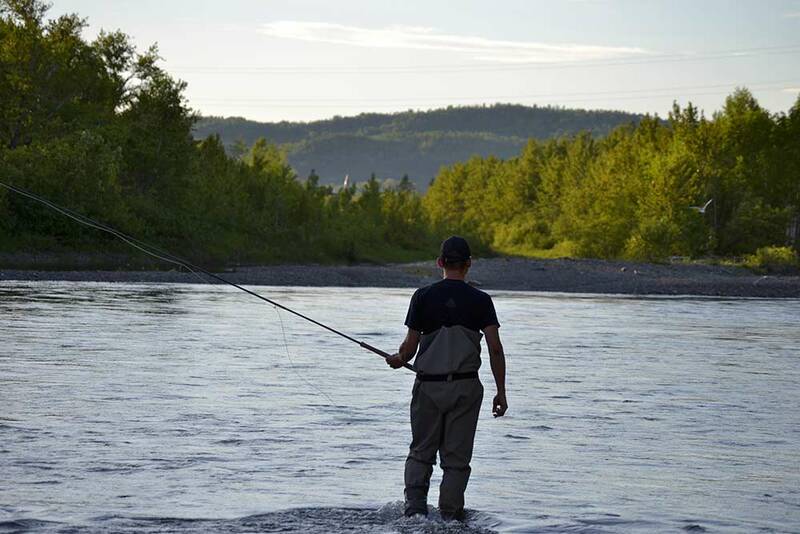  The Nouvelle River is divided into six fishing Sectors (A to F), covering almost 80 km of river. 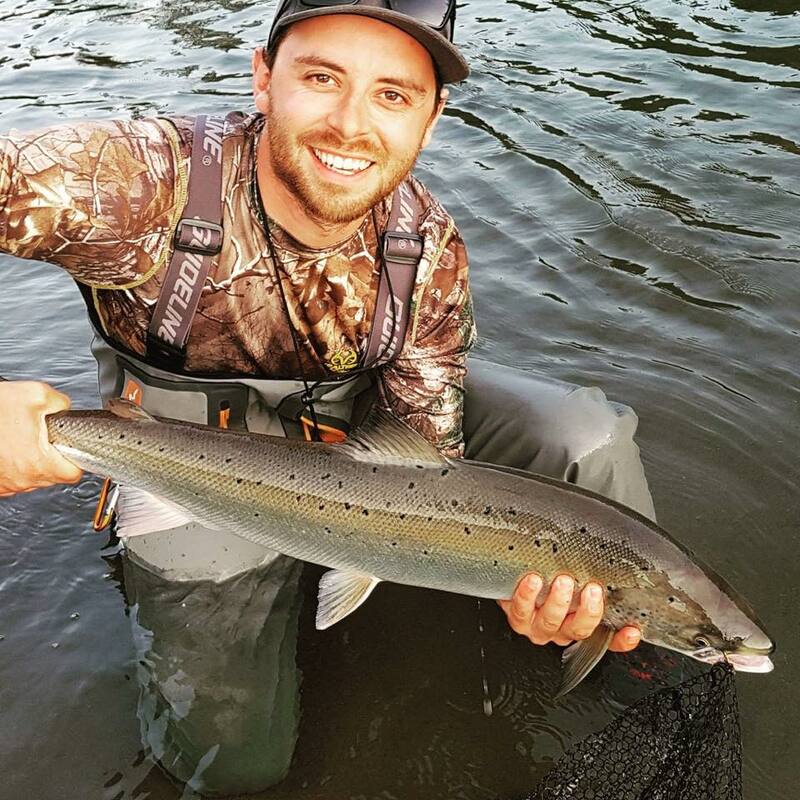 Sector C is limited to six rods per day, whereas the remaining sectors are open-access, so there is no need to book early to have the opportunity to fish in their superb crystalline water. 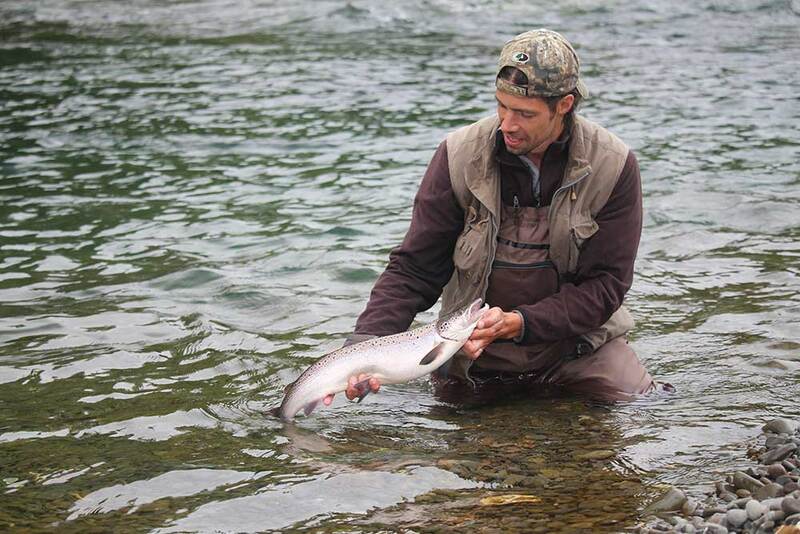 It is possible to fish both salmon and sea trout in Sectors A to D, while Sectors E and F are home to sea trout only. 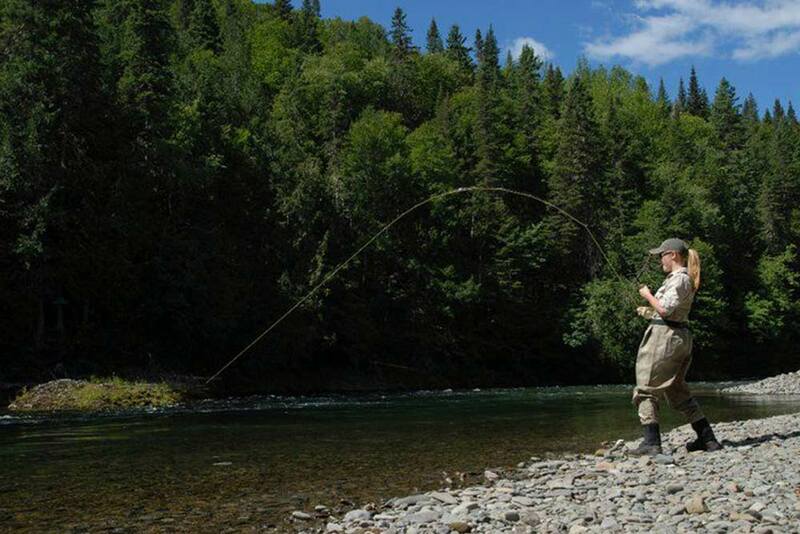 For a long-lasting experience, you can opt for a season pass or an 8-day pass. 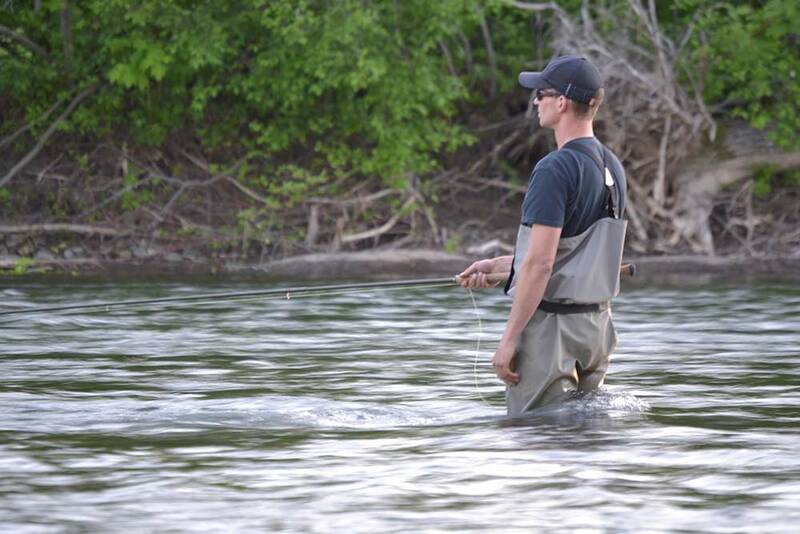 The season pass allows you to fish in Sector A throughout the season at no additional cost. 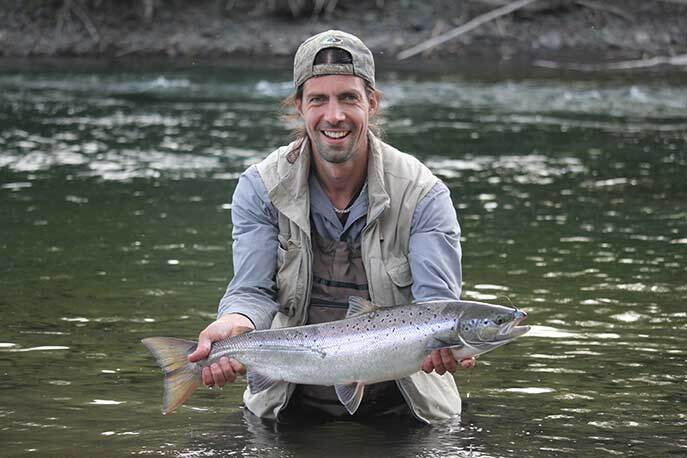 With the 8-day pass, you can enjoy eight days (consecutive or not) of fishing in Sectors A, B and D.
This package includes one day in the controlled sector and the remaining days in open-access sectors, as well as ZEC membership cards and a stay in a comfortable, modern cabin along the riverbank. 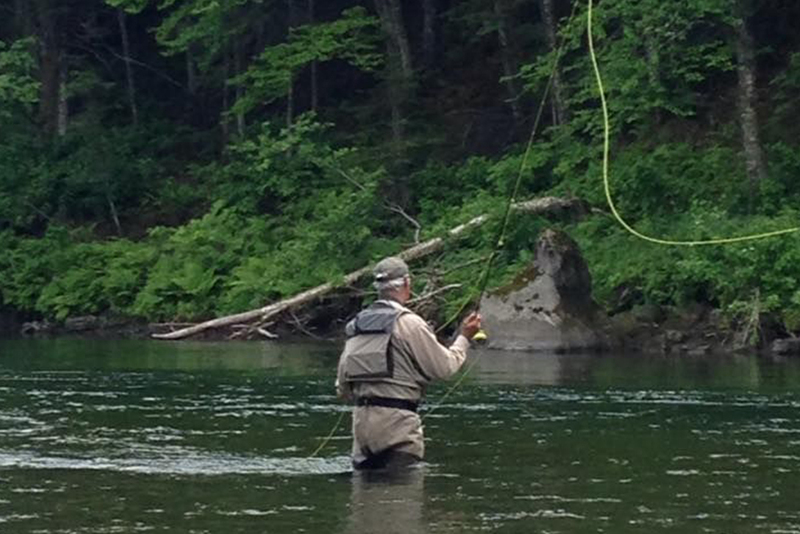 Prices are for two anglers. 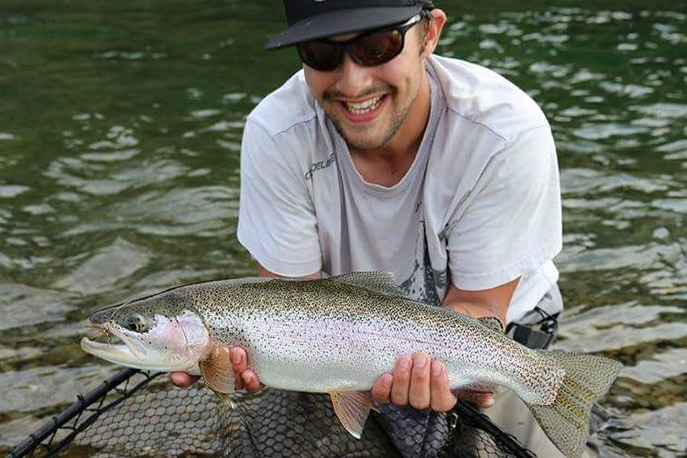 Extra fees apply for each additional angler. 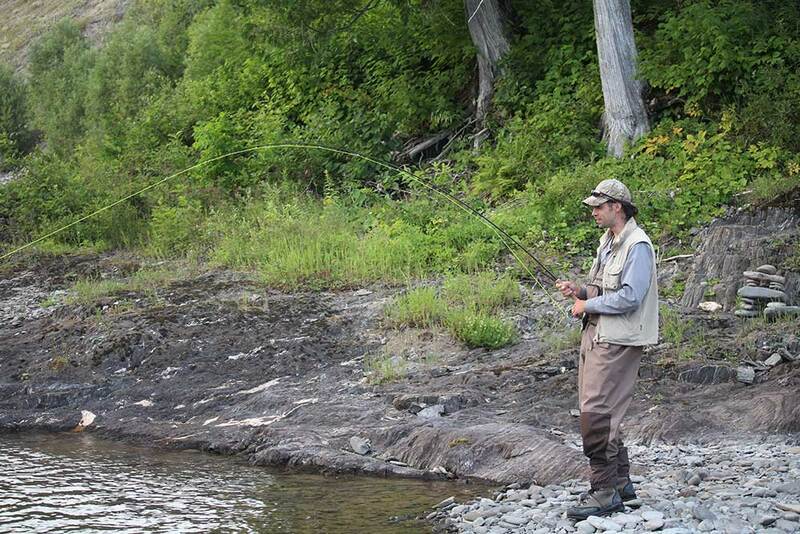 The wonderful campground of the Nouvelle River ZEC offers 43 sites with or without amenities. 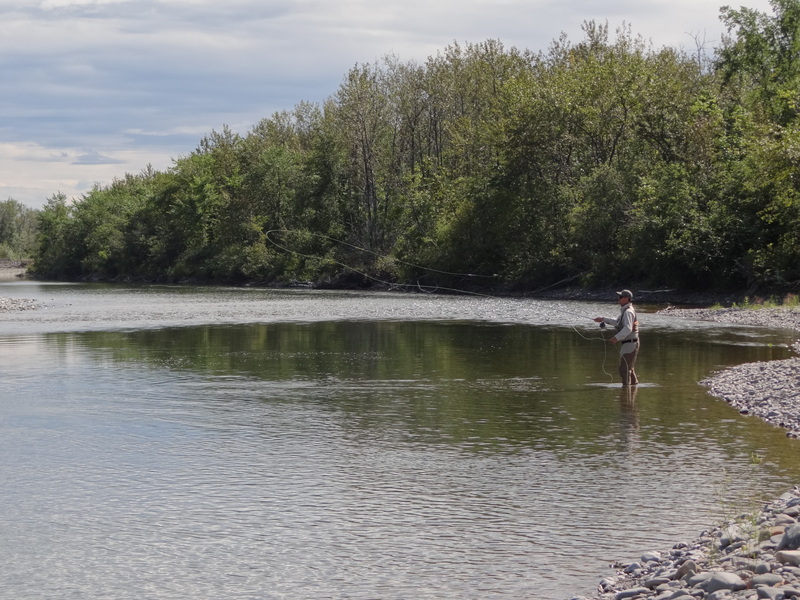 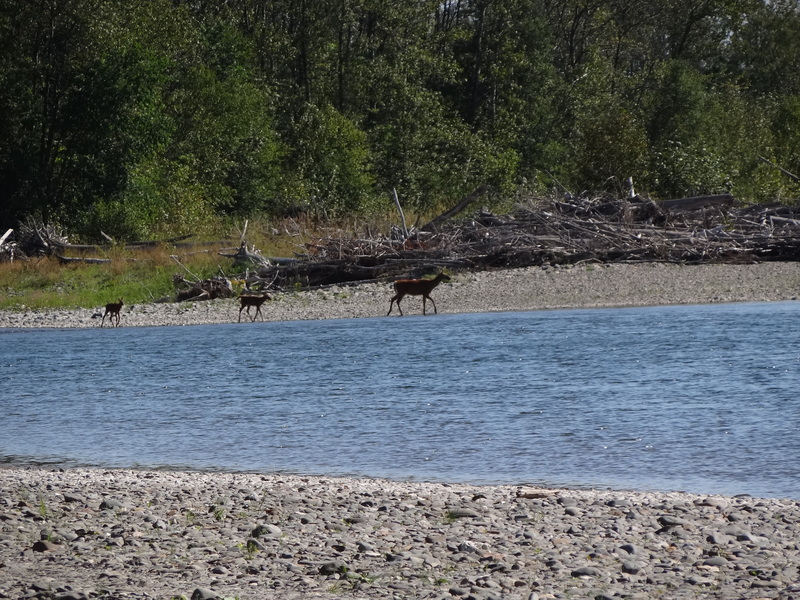 Situated along the riverbank, the campground is only a few metres away from a grocery store and a gas station. 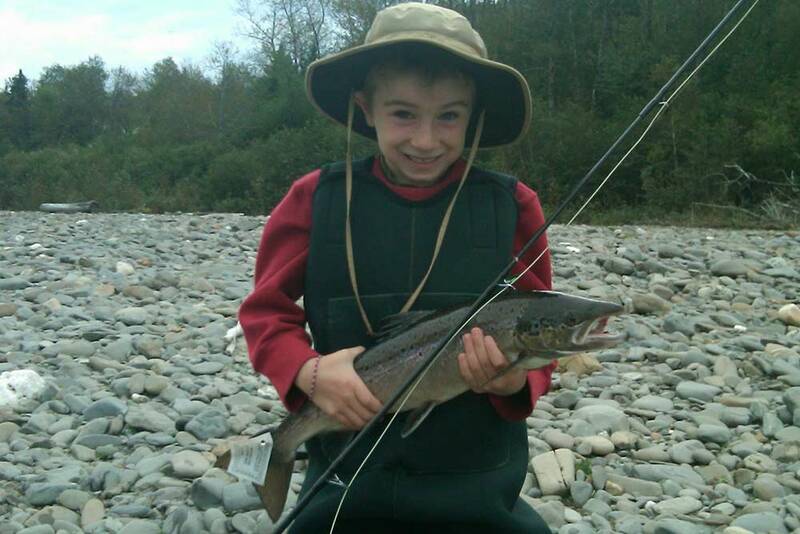 Fishing enthusiasts and travellers will enjoy the comfortable and fully equipped Les Portes du Platin cabins. 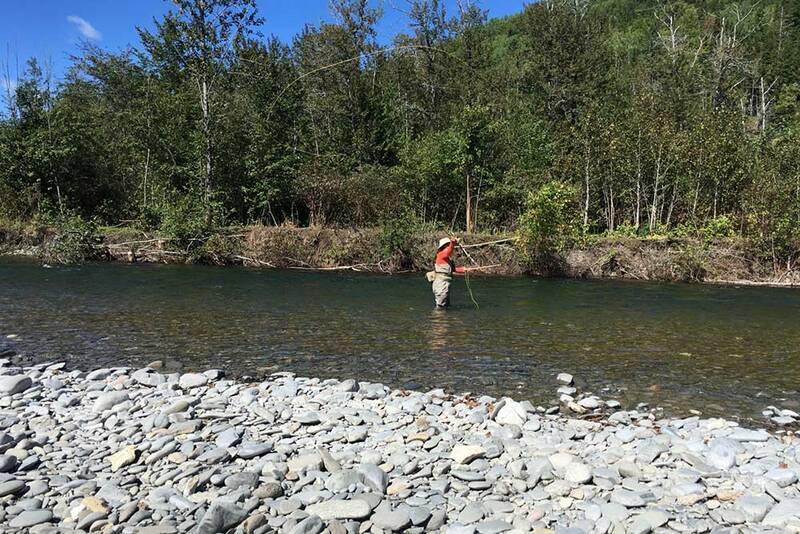 As they are located right along the river between Pools 15 and 16, you will be close to your fishing spot or in a beautiful place to relax and enjoy nature.